Joe Bonamassa will be returning to the legendary Baked Potato in Studio City for his third appearance with Rock Candy Funk Party. Joe, Tal, and the band will be blowing the roof off on January 17th. Two shows are scheduled for the date, with the first show being 09:30 and the second being 11:30. Tickets are only $26, available directly from the venue’s website. Tickets are very limited and sell out quickly. Not a show you want to miss, you’ll get to see Joe and Tal play tunes they wouldn’t be playing on a normal night. 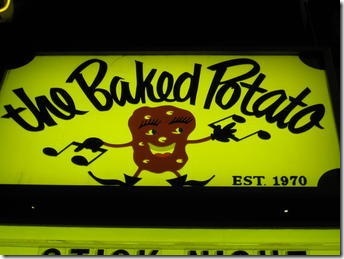 See the video below from the last time Rock Candy Funk Party played at the Baked Potato. Slight correction to the description to video above- That was not the last time Rock Candy Funk Party played at the Baked Potato. It was from April 2011 and August 18, 2011 was the last time. There will be a very special guest appearance, mark my words.